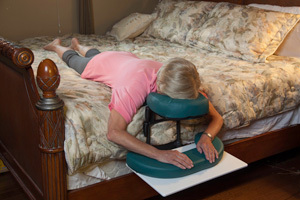 Maintain a facedown position with significant ease and comfort in both sleeping and waking hours. Use face support on the bed to breathe easily and sleep soundly, and on a desk or table top for reading, eating and visiting. It's lightweight and portable so patients can keep a facedown position wherever they go. 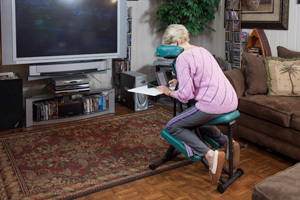 Seated support offers Vitrectomy patients full-body support in a seated position. 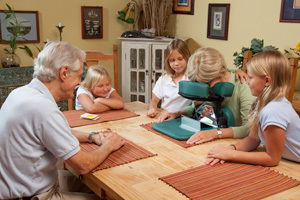 Our vitrectomy recovery chair lets you eat, visit, read and watch television with comfort and compliance. 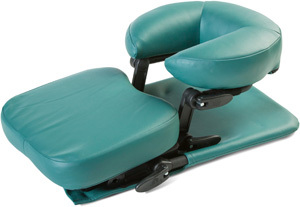 The Seated Support's adjustable seat and arm rest offers several position changes to suit various activities. 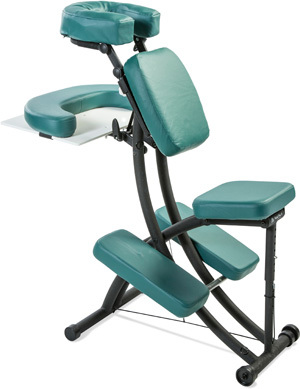 The seated support is lightweight and portable, making it easy to change locations. Please view our face down equipment videos to see a demonstration of our quality products!